For anyone looking to brand Jason Aldean as part of a significant musical movement, good luck. There's a lot about the singer that's become familiar during his five years as a country hitmaker, after all, he has spent more weeks at #1 on the radio charts than any other country artist in the last 12 months. But none of what he does comes out quite like anyone else. The blues-tinged licks at the end of his phrases?there's a ring of familiarity about them, but you can't really link them to another artist. The smoky guitar riffs that have become a signature?they're built on sounds that have come before, but they don't really belong to anyone else in the country genre, either. The small-town themes that pervade many of his songs?that's all been done before, but not quite with the unwavering honesty that Aldean applies to the subject. Since his 2005 debut with the scorching ?Hicktown,? the singer has set himself apart from the pack as a truly unique artist. He addresses his Georgia-born brand of country music with a singular vision, and he intends to keep it that way. ?The whole thing about being creative is coming up with new things,? he says matter-of-factly in a converted barn on his Nashville-area farm. ?What makes you different and more creative than the other guys is taking something to an extreme and making it better without ripping anybody else off. I think that's the key. The great ones figure it out and are constantly evolving, and that's what makes ?em great.? With My Kinda Party, the Academy of Country Music's former Top New Male Vocalist further cements his uniqueness with a robust15-track project that builds on his personal past while covering new territory. The first single?the muscular title track?fit very quickly into the jacked-up portion of his concert set list, which already boasts ?She's Country,? ?Crazy Town? and ?Johnny Cash.? But there's other stylistic landscape to explore, too?his first full-fledged duet, with big-voiced pop singer Kelly Clarkson; and an almost rap segment in ?Dirt Road Anthem? that suggests Aldean has listened to a little Snoop Dogg in his time. That might come as a shock to non-country observers who think the genre belongs in its own self-imposed hay-bale ?hood, but Aldean gets around musically. He was the first country artist of any significance to incorporate Guns N' Roses medleys into his live show? ?You're welcome? is his simple response?and his listening history includes such diverse talents as Aerosmith, the Oak Ridge Boys and even Tupac Shakur. Like Aldean himself, all of those acts were founded on a distinct musical identity. They each incorporated their heroes' influences into a sound that belonged to no one else. Aldean took his cues from them quite well. ?I grew up listenin' to all kinds of music?rock and Southern rock and country and blues and rap stuff, too,? he says. ?My cousin, who's five months older than me, he went through his rap phase when we had 2Pac in the car all the time. Really, I'm a fan of all kinds of music.? While critics will gravitate to the extremes on My Kinda Party, the essence of the album is simply the solidity of its material. 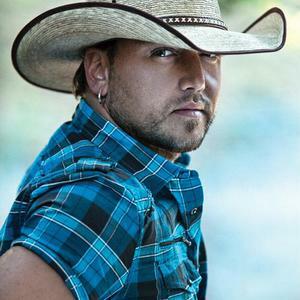 By selling 3.5 million records in the first phase of his career, Aldean commanded the attention of Nashville's songwriters as he put together music for the album. With volumes of Music Row's best craftsmen and women writing for Aldean, he literally had the pick of the litter. As a result, My Kinda Party is stocked with inviting melodies and intriguing storylines, many of them tugging on the small-town themes that have become the backbone of his persona. ?Fly Over States,? ?Church Pew? and ?Tattoos On This Town? exemplify Aldean's affection for the topic, though it's often misunderstood. While country has plenty of bumper-sticker anthems that celebrate small communities, Aldean is more than a simple cheerleader for rural values. He does indeed take on the role of heartland defender in ?Fly Over States,? but other songs find him grappling with the heartbreak and limitations that accompany towns with three- and four-digit populations. ?I'm not like a pro-backwoods, flag-wavin' kinda guy,? he says. ?I mean, I grew up in the South, in the country, and I love that lifestyle. But I'm not one of those guys that insists that's the only thing there is. Being from a small town, you can be a little misunderstood, and there are plenty of people tryin' to get out of there because you're put in a box a lot of times when you're in a small town.? Aldean knows that issue well. Born in Macon, Georgia, he was raised on the outskirts of town and devoted much of his youth to working and hanging out at his cousin's 200-acre farm. ?I spent every weekend out there at his house riding four-wheelers and horses, bailin' hay, going fishing and hunting?all that stuff,? Aldean reflects. ?When I would go from my house to his house, it was a lot of farmland and dirt roads and huge potholes in the road.? As dramatic as it sounds, he was ready to pack it up and go back to Georgia when producer Michael Knox asked him to take one more crack at a showcase. Independent Broken Bow Records was interested, and Aldean?admittedly skeptical that a then-unproven company was going to make a difference in his life?took that shot. ?I think about it every day,? he concedes. ?When you read that I was this close to leaving, it sounds like something made up. But it was the truth. I had applied for jobs in Georgia, and I was trying to get hired down there. We were broke?just straight-up broke?and we were gonna move in with my mom so we could get on our feet and get straightened out?maybe get a club gig and try to build a local following.? Instead, the Broken Bow deal allowed Aldean to stay in Nashville and build up a following on a national level. Establishing a mindset that he continues to carry, he tackled his opportunity on his own terms. He worked with his own producer, Michael Knox, and used his own band?guitarist Kurt Allison, bass player Tully Kennedy and drummer Rich Redmond?plus guitarist Adam Shoenfeld as his studio core. Aldean's ultra-Southern voicings give him an immediately identifiable sound. The band helps set him even further apart from other country stars. ?I don't want to use who everybody else uses,? he insists. ?And I don't want my records to sound like everybody else's records. The only way to do that is to cut it like we do. I cut the album with my band, I use an engineer that nobody else really uses in this town to cut major-label records, and Michael is starting to produce more things now, but when we first got started, it was me and that was about it.? Even now, as Knox branches out to work with other well-known country artists?an opportunity that's come directly from producing Aldean?Knox and Aldean have an understanding about protecting the sound they've achieved together. ?I just went to him and said, ?Hey, look, man, this is something that we've been working 10 years on. I'm not going to just hand it over so you can make everybody else's stuff sound like mine. That's what sets us apart.' He understood that, and that was pretty much it.? There's no cockiness and no forcefulness in his stance. The name of the game is individuality, and Aldean is protecting it. He also appreciates it in other artists. That same level of uniqueness is exactly what Aldean was looking for when he approached Clarkson as a duet partner on ?Don't You Wanna Stay.? ?Kelly has such a distinct voice,? he observes. ?She's got the most soulful voice there is right now. As soon as she opened her mouth and started singing in the studio, it was like, ?That is what this song is supposed to sound like!'? The one-of-a-kind sound Clarkson brought to ?Don't You Wanna Stay? is representative of Aldean's own artistry throughout My Kinda Party. There's a cultural familiarity to the themes and the influences, but in practice, there's not another act who sounds quite like Jason Aldean. He's not part of some musical wave. He is his own movement. ?That's what it's all about,? he shrugs, ?knowing what it is that sets you apart from everybody else.? It is important to note, many of Jason Aldean's tracks on his recent album "My Kinda Party," were written by another Georgia artist, Brantley Gilbert, who still performs many of these tracks as singles from his albums.